An electronic gated entry adds to the stately appearance of this all brick English Tudor home appointed with stone columned entryway and balconies with cast stone balusters. The majestic tall and shapely chimneys, complete with contoured clay chimney pots, and a turret housing a spiral stairway at the side entry complete the noble façade. A three-paneled stained glass golf scene illuminates the back wall of this bar area which includes a temperature controlled wine cellar. In addition to the inviting sitting area around the fireplace, the game table and pool table areas provide plenty of opportunity for relaxing entertainment. Golf is the theme as this lower level entertainment oasis walks out to a terraced patio over-looking the seventh hole below. Rough-hewn beams, a wrought metal exhaust hood and iron light fixtures, a stained and distressed center island, and terra cotta tile flooring create a rustic appeal in this large family kitchen. In contrast, the white enameled cabinetry and stainless steel appliances impart modern efficiency and give luster to the space. An inviting view of the woods beyond enhances the appeal of this family gathering space. 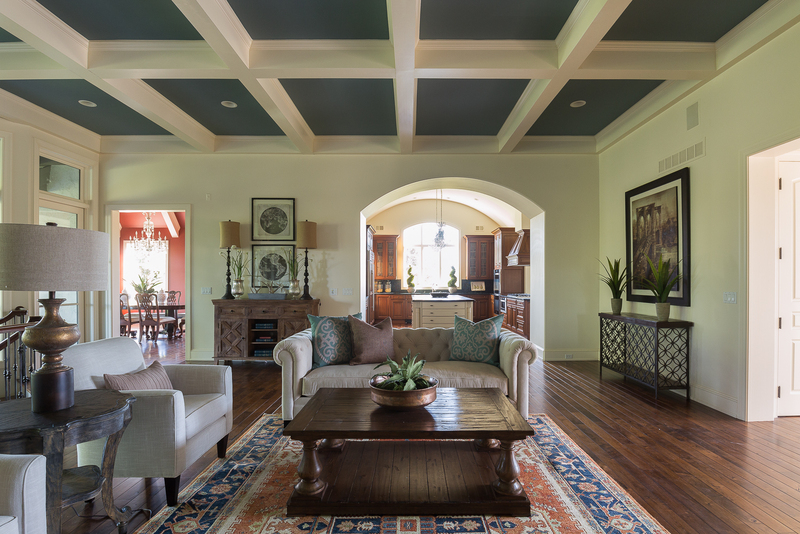 The vaulted ceiling is accented with stained trusses that add warmth to the room and help to create a more intimate atmosphere. A treasured antique American flag adorns the stone fireplace which includes a secondary alcove to the left of the firebox designed for storing additional firewood. Electronic House Magazine awarded this home theater with an Electronic House of the Year award in the category of Home Theater over $75K. The theater developed as an idea for utilizing the Lower Level space under the new family room addition at the main level. The project was completed just in time for football season and quickly became the family’s favorite place to entertain. 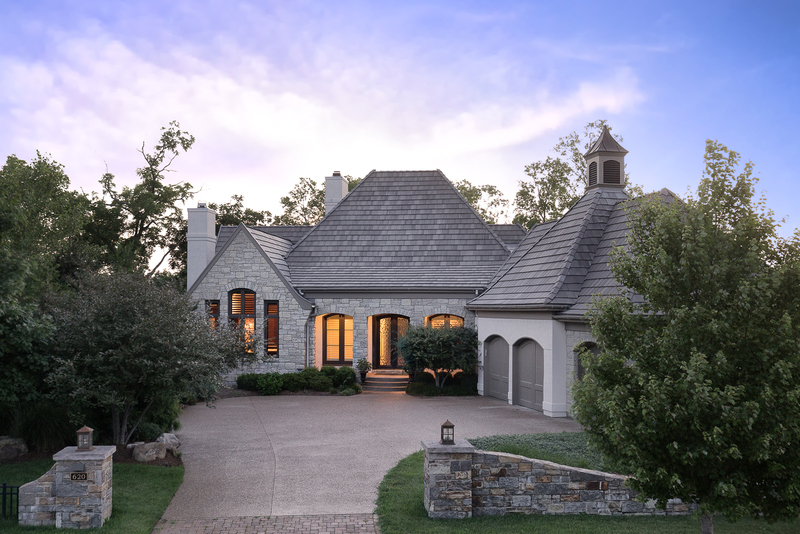 At Robert Montgomery Custom Homes in Kansas City, we understand that your custom home is so much more than just a house. 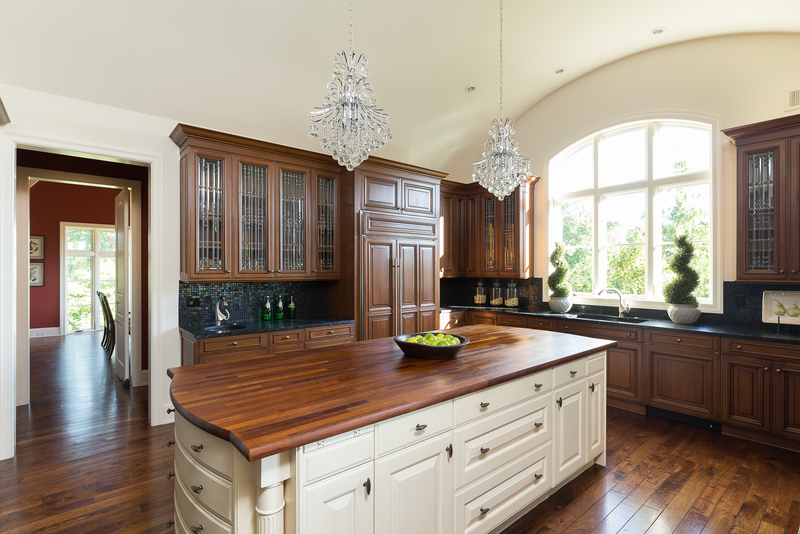 Your custom home is the culmination of years of hard work, planning and saving. The experience you have building your custom home should be as enjoyable as the years you spend in it sharing memorable moments with family and friends. 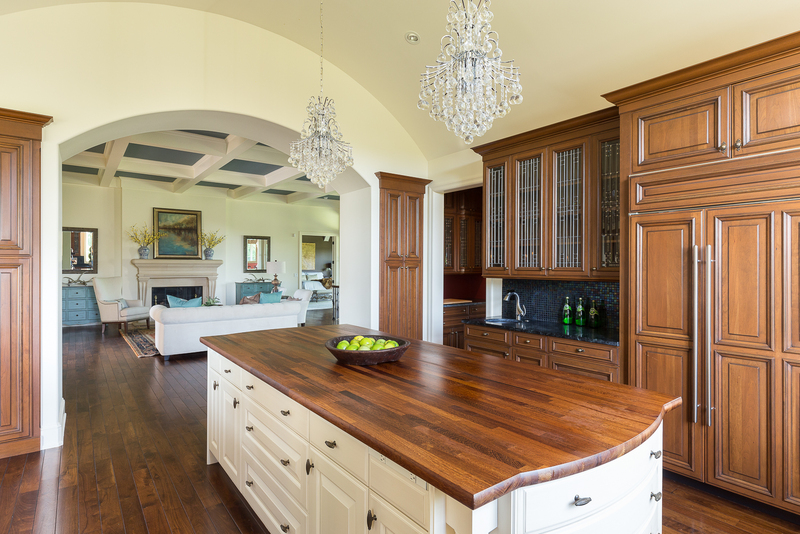 Since 1977 we have worked to perfect the custom home building process so as to provide each homeowner with the custom home that meets all expectations. 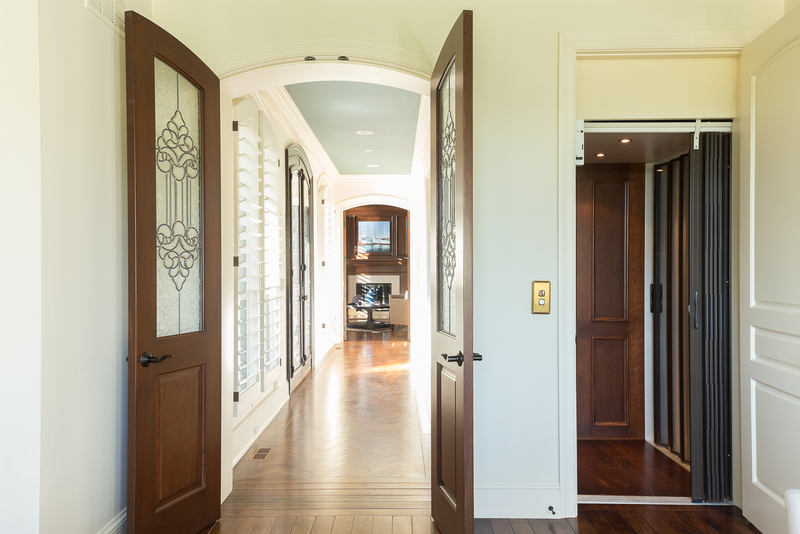 As your custom home builder, we are committed to providing optimum customer service through industry-leading innovation and a custom home building experience as exciting and rewarding as the custom home itself. From preliminary lot analysis, to the custom home design process, cost analysis, materials selections, construction and then occupancy and warranty service...no other builder has the expertise, talent or systems that we provide to our custom home clients. 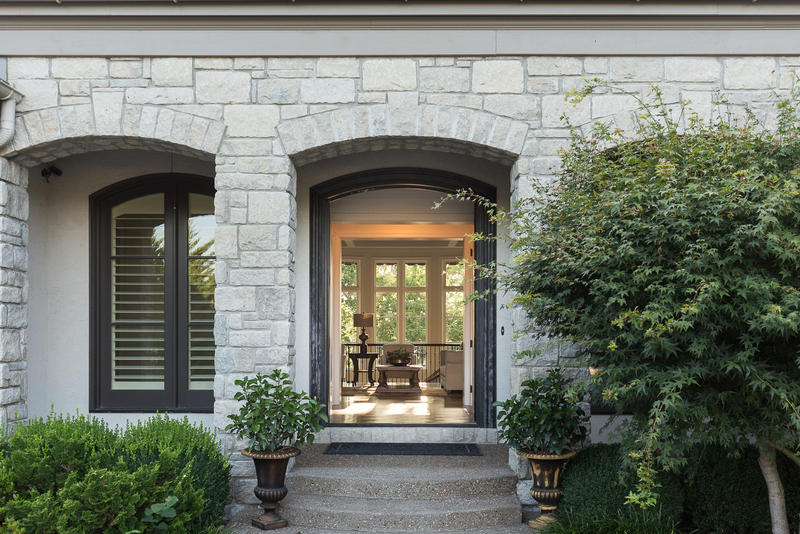 Our commitment to quality and excellence has earned us the reputation as premier custom home builders in Kansas City. Please take time to visit our gallery. It includes custom homes in several different architectural styles. As it should be, each custom home is unique. We take pride in having effectively produced custom homes that reflect each client’s individual tastes, desires and needs. 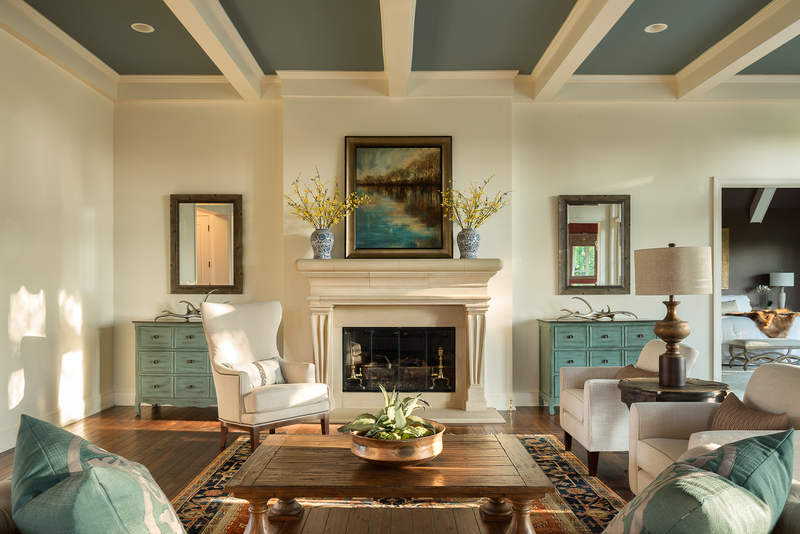 We would love to add your Robert Montgomery Homes custom home to our gallery. Our homeowners love their custom homes and are happy to share their building experience with prospective Robert Montgomery Homes custom home clients. Take time to read the letters posted on our Testimonials page about our previous custom home projects.